EDMONTON -- A lawyer accusing Alberta United Conservative Leader Jason Kenney of breaking parliamentary residency rules while serving as an MP is declining to explain which regulation he believes Kenney broke or how he broke it. Kyle Morrow, an Ottawa-based lawyer, was asked twice in email exchanges Tuesday to identify which parliamentary rule or guideline he believes Kenney transgressed while in Stephen Harper's cabinet from 2013 to 2015. "As I noted in my statement (Sunday on Twitter), I will not be responding to media inquiries," Morrow wrote. Kenney's staff have said Morrow's accusations are false and politically motivated given that he once ran for the provincial Liberals. Morrow has also been a sharp critic of Kenney on social issues such as LGBTQ rights. Morrow made headlines in recent days after posting travel and expense documents on his Twitter feed and questioning why Kenney, while working as an MP, listed a Calgary home as his primary residence when flight records suggest he spent little time there. "Jason Kenney was collecting around $900/month in secondary residence subsidies (in Ottawa) at the same time he was listing his address in Calgary as a senior's retirement home. Those subsidies were contingent on him permanently residing in Calgary," Morrow posted. Morrow did not say which rule he was referring to that ties subsidies to permanent residence. Kenney's staff say no such rule exists. House of Commons policies say that time spent living in a home is only one of many conditions to be considered for an MP to qualify to have a residence in a second city. The rules state that as long as MPs have ties to an area -- such as paying taxes or having a driver's licence from there -- they qualify for the second residence. 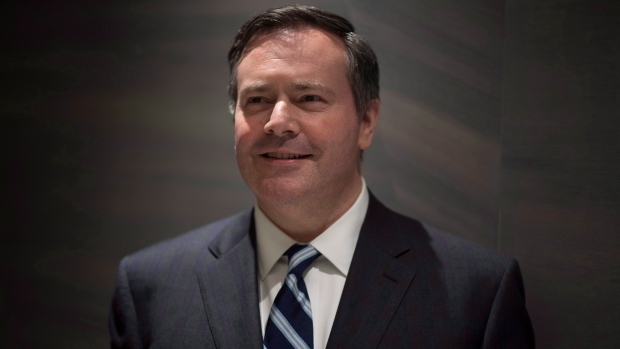 Kenney reiterated Tuesday that he did qualify and has been an Alberta resident for three decades. "I was fully compliant with the rules," he said in an interview on CBC radio. 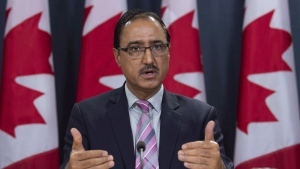 "There's no requirement that you live half the year in your constituency, because that just isn't possible (for some MPs), particularly for busy federal ministers." He said his time as a cabinet minister, including in the Immigration, Employment and Defence portfolios, kept him busy with travel. "I was in Ottawa, I think, about 140 nights a year," he said. "I was on the road or in Alberta the rest of the time. Kenney said he rented out part of his mother's home in a retirement village at the time to be near her and to help her out when he could. "That was a relatively short-term period when I was living with my mom in that bungalow until we were able to get her into assisted living and I was able to get my (Calgary) condo completed." Premier Rachel Notley said the accusations need to be looked at, but she focused on Kenney's visits as an MP to his Calgary riding. "The notion that you see someone visiting the riding only four times in the course of 12 months speaks a little bit to what they think representation looks like," she said. "Perhaps Albertans will want to consider whether that's what they're looking for in someone who is running to be their premier." Notley's NDP and Kenney's UCP have been ramping up the attacks as a spring election approaches. On Monday, the NDP alleged Kenney broke election rules in 2016 when he contributed $399 to Ontario's Progressive Conservative party while not being eligible to do so because he was living in Alberta. The UCP said the $399 was a registration fee, not a donation. The party fired back on Tuesday, questioning whether Notley broke donation rules in the 1990s by giving to the Alberta NDP while living in B.C. Notley said if you had a residence or made money in Alberta at the time you were eligible to donate, and she did.